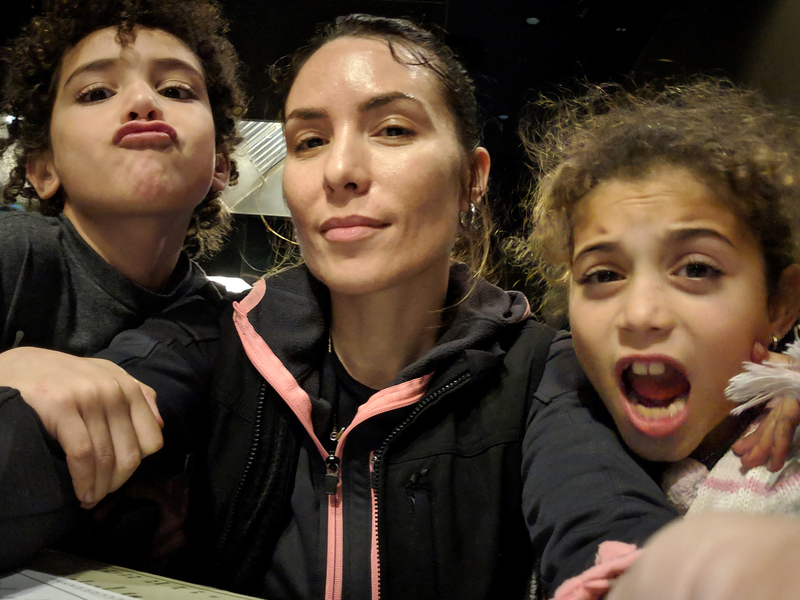 Dr. Britten Cole's Blog: How Hiring Help with Cooking and Cleaning Has Made Me a Better Mom - Integration Through Media ....! Cole, an anesthesiologist and mother of two, splits her time between Orlando, Florida, and Los Angeles, where she’s starring on the inaugural season of Married to Medicine: Los Angeles. Aside from appearing on the hit Bravo series’ new spin-off, she is currently working on finding permanent medical employment on the west coast. Before she became an anesthesiologist, Cole worked as an officer in the Navy alongside her best friend, Married to Medicine: Atlanta star Dr. Contessa Metcalfe. Cole and husband Mack Major share two children: Ivy, 7, and Mack Jr., 8. You can find her on Instagram @brittencolemd. One thing I’ve learned as a full-time working mother and wife is that my time is exceedingly precious. I have no time for things that are wasteful or don’t bring me joy. This is why I outsource as many daily household chores as I can to someone else, so that I have more time to do the things that are important to me. Some may say I’m neglecting the best parts of mothering — that I should be cooking and cleaning to show my family how much I love them. But the truth is I simply don’t have time, nor do I enjoy any of it. Yep, I said it! I’d rather show my family that I love them by being able to SHOW them that I love them, by engaging in play, conversation, hugs, kisses and laughter. I don’t like folding laundry, cooking every night for finicky eaters or cleaning toilets and scrubbing floors. By taking just a few things off of my plate, I am able to unload stress and regain balance. So if you’ve ever thought about outsourcing, DO IT. It will change your life! Start with the one task you hate doing the most and give it to someone who enjoys making money at it. Trust me, there is someone out there who will happily fold laundry at your asking price. Finding an outsourcer isn’t as difficult as you might think, either. Start by talking to other moms. Ask teachers and childcare workers if they have referrals. There’s also a growing number of websites completely dedicated to this yellow-rubber-glove stuff. Tell me if this scenario sounds familiar: After work, I have essentially a three-hour window to do a million and one things. First, there’s homework, reading and studying. Then we move on to cooking, dinnertime and the dreaded kitchen cleanup. Next comes the eternal process of bribery and debate known as bedtime. This is where I struggle because in my house, bedtime prep can last an hour. Finally, with no time left to exhale, I have to get myself ready for bed. Where in this scenario is there time for me to decompress, play with the kids, have quality time with my husband, jump on a call with my mom or just take a breath? It’s like being in the military again: structure and order, and any deviation from this is likely to throw me into “monster mom” mode. Something has to give — and that something is household chores. Cooking every night is out the door. Now we eat out, or I’ll make dinner over the weekend so there are leftovers for at least a couple days during the week. Eliminating the ordeal of cooking and then washing dishes freed up a huge amount of time. I’ve now recouped two hours in the evening! This is much-needed “me” time after a day spent caring for patients, followed by the second shift where I care for my family. I also tackle house cleaning strategically. Our family collectively cleans the house … or should I say, straightens up, every Sunday. I also pay a cleaning company to come on Tuesdays to do the heavy lifting. Outsourcing meal prep and cleaning alone has freed up more time for the people I love: my family. Being able to come home and do a craft with my son, play with makeup with my daughter or ask my husband how his day was and allowing that conversation to take us in so many wonderful directions has allowed me to be more present. Without household tasks hanging over my head, I have found myself less stressed and freer. Maybe you have given up a few pleasures to make this happen, but believe me when I tell you that outsourcing is worth every penny. No weeks’ worth of fancy lattes can compare. Outsourcing has helped improve my mood and how I interact with everyone in my home. Most importantly, ladies, your mental health is at stake here too. You need time for you. Presenting a broken and depleted version of yourself to your family doesn’t benefit them in the slightest. Take care of yourself so that you can take care of them. This is not the season for guilt. No one has time for that! Push it aside and regain you and your family’s well-being. Anyone who makes you feel guilty for not being traditionally domesticated is speaking nonsense, and if they enjoy it so much, ask them how much they charge to come do it for you. We have got to maintain our sanity and reclaim our time!